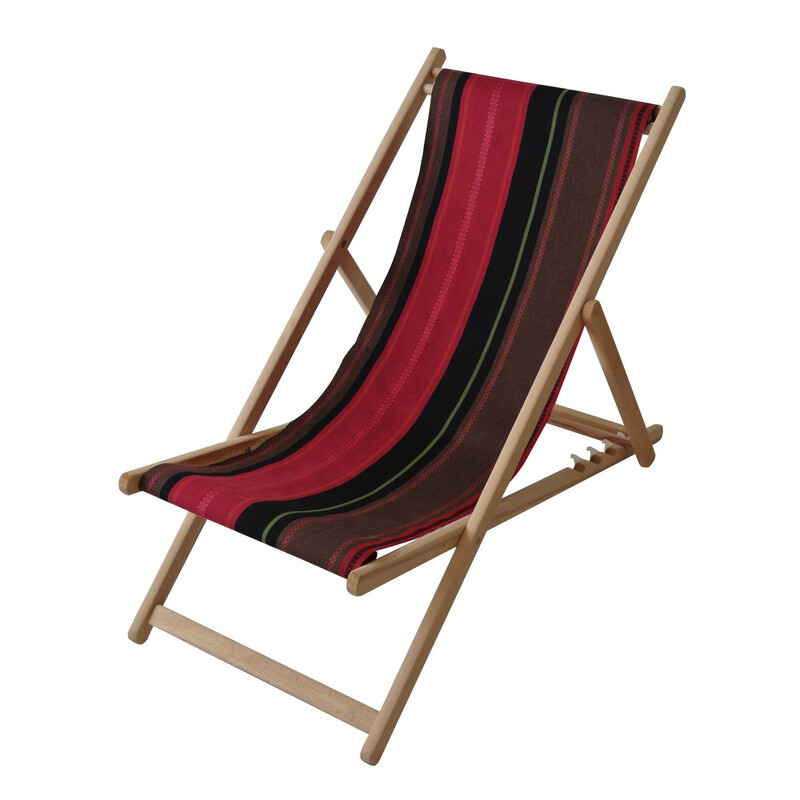 The frame of this deckchair is made of natural Beech wood. It comes with its removable fabric 100% cotton 350gr / m ². The removable fabric allows you an easier cleaning and a better durability. As any wooden furniture, a proper maintenance of the frame will ensure longevity through years of exposure to the elements. The indicated dimensions are the ones when the deckchair is folded.